Your feed system depends on properly functioning bin boots, anchor bearings and driver assemblies. The GrowerSELECT® clear feed bin boot, available in a straight and 30° bottom, allows you to always be sure feed is flowing properly. The GrowerSELECT line of auger anchor bearings allows you to affordably replace your OEM equipment with quality components to fit all common feed system sizes. Pairing these items with the GrowerSELECT weldments and driver assembly will complete the backbone of your feed delivery system, ready to offer you years of reliable service and performance. Package includes 18) 5/16" x 3/4" zinc plated screws, washers and nylon nuts. 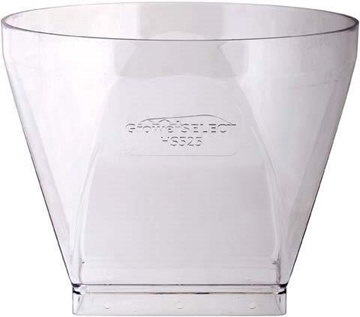 GrowerSELECT® clear replacement feed bin boot fits 16" opening on feed bins and provides 30 degree angle for steeper entry into barn and rigid auger applications. 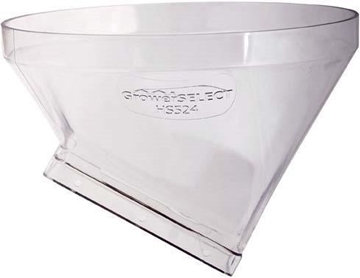 GrowerSELECT® clear replacement feed bin boot fits 16" opening on feed bins and provides straight angle for tandem bin installations and shallow pitch entry into barn. 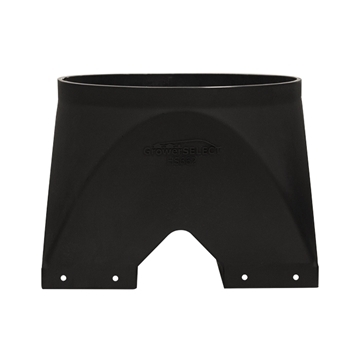 GrowerSELECT® black polyethylene double straight unloader boot. 14" diameter.